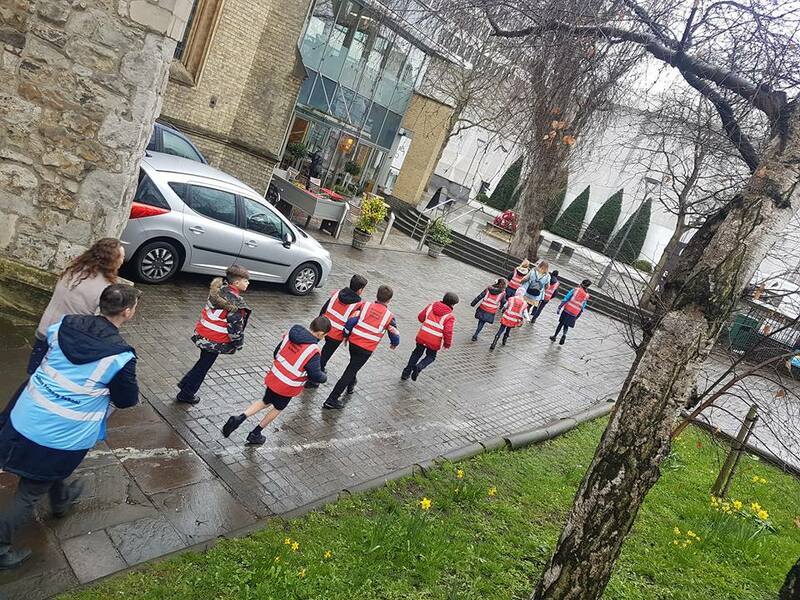 The year four students of Hotham Primary school have created an exciting walking tour guide book for Putney. 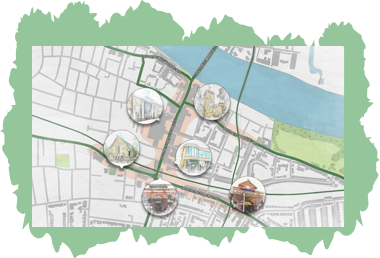 With the help of Positively Putney, Hotham have printed their fantastic book which details their step by step route through the town. The book is beautifully decorated with pictures of Putney’s landmarks as well as pictures of the students who participated. The route begins at Hotham Primary School and the students tell us that the school was a fire station before it was converted into a primary school. 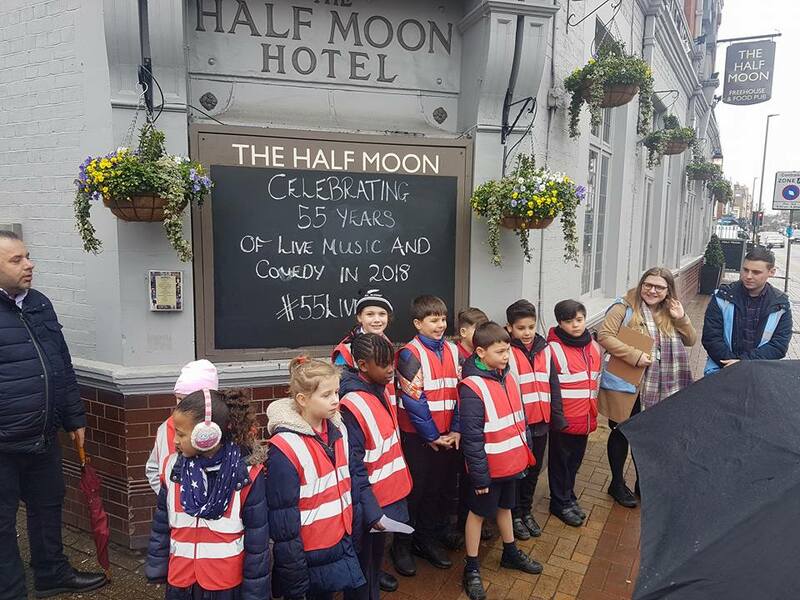 The next stop is The Half Moon Pub. Here, the students amazed the audience by telling us the venue has had live music every night since 1963! A short walk away at Leader’s Gardens, the pupils write that the park is 115 years old. The pupils next discuss Putney Boat Club and the River Thames which they state is 215 miles long with over 75 bridges. The fifth stop on the walking tour is The Bricklayer’s Arms pub which has been a landmark of Putney since 1826. 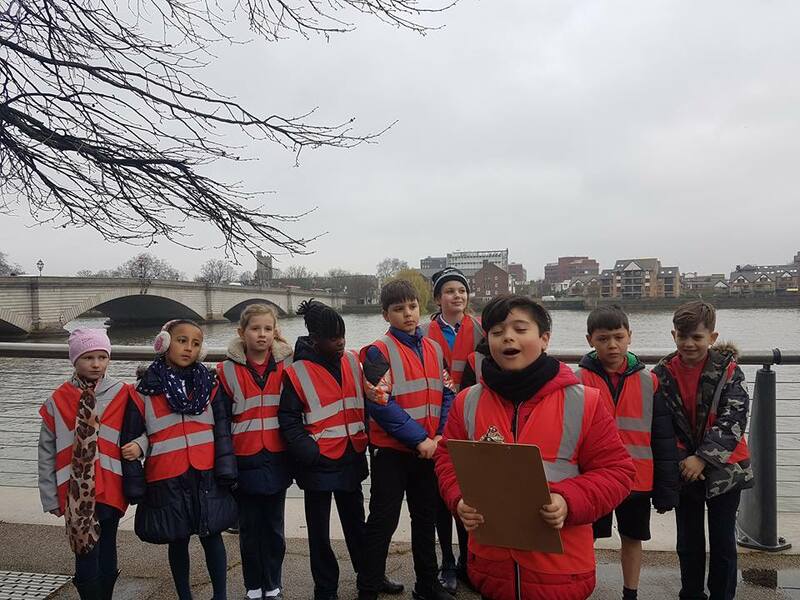 Next stop is Putney Bridge which the pupils tell us was designed by Sir Joseph Bazalgette. Near to Putney Bridge is St. Mary’s Church. The pupils taught us about the Putney Debates in 1647. The seventh stop is the sculpture trail and the pupils teach us all about the nine different sculptures in their book. Next the pupils discuss the Odeon which they say has served as a cinema in Putney since 1975. Next up is the Putney Exchange and the students teach us about its telephone exchange origins. The pupils then tell us about the new build of Metro Bank on Putney High Street. This landmark has been particularly interesting for the students as they have seen the development of its construction throughout their project. The eleventh stop on the walking tour is Putney Library which was designed by Francis J. Smith. Next is Putney station which the pupils tell us was opened in 1846 and rebuilt in 1885. The last stop on this exciting tour is Putney Arts Theatre which the pupils say is 158 years old! 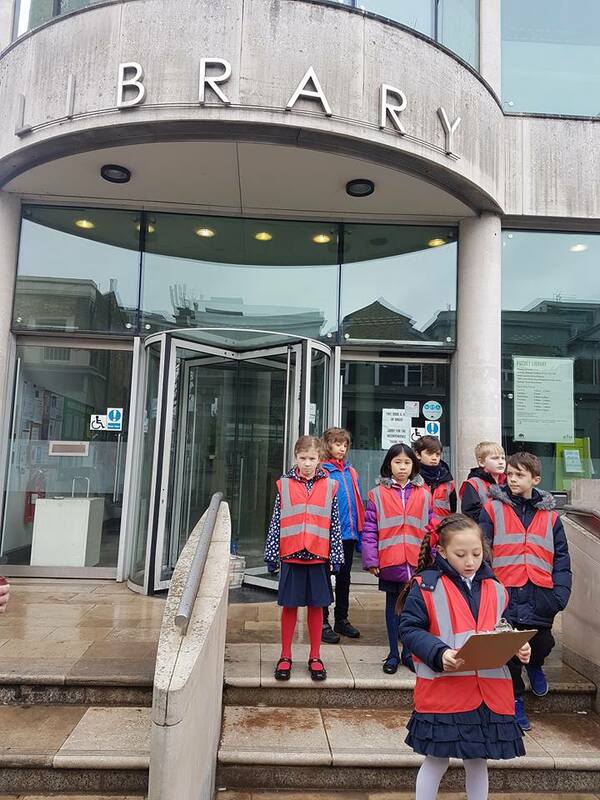 The Hotham Putney Walking tour guide book is fascinating and the children have found out some incredible facts even long-time Putney residents may not even know! 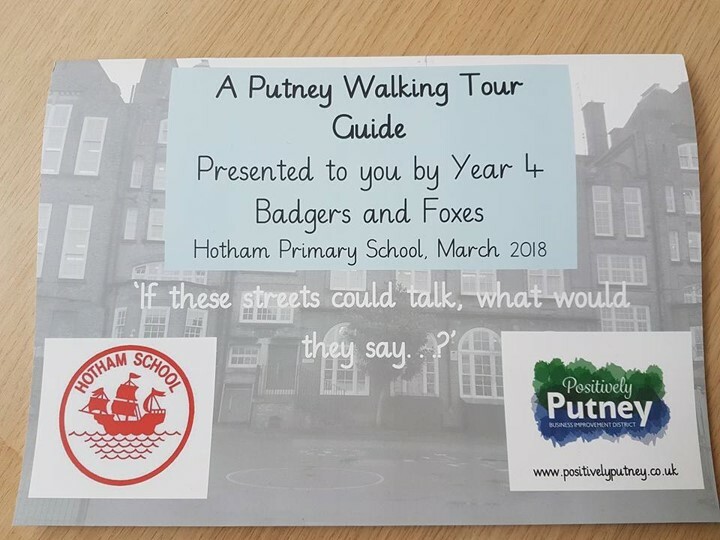 You can purchase a copy of A Putney Walking Tour Guide for just £2 at Hotham Primary School.